Wrestler Babita Phogat is all set to make her television debut in Prince Narula and Rytasha Rathore's Badho Bahu, reports The Indian Express. 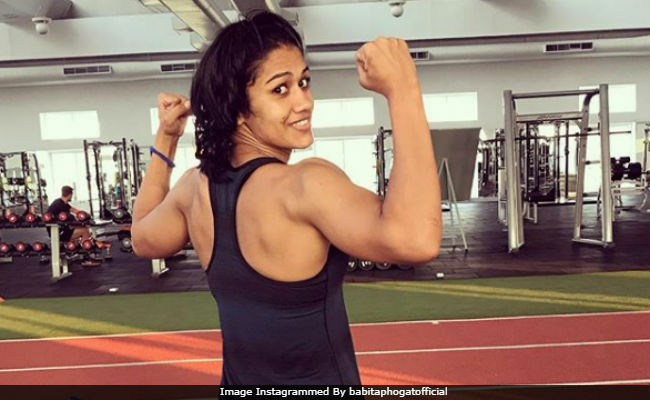 Babita's elder sister Geeta Phogat, a Commonwealth Games gold-medallist, made her TV debut some months ago with Khatron Ke Khiladi 8, a stunt-based reality show. Of Babita's casting, Badho Bahu producer Dipti Kalwani told The Indian Express, "I am over the moon and I can't wait to see Babita and Badho in the same akhada. It's a dream come true when your inspiration stands in flesh and blood with your character. Babita inspired me to write the show and it's the proudest moment for me. I will cherish it all my life. I would really like to thank Babita and the &TV team for making my dream a reality." Badho Bahu tracks the story of an overweight girl Badho, played by Rytasha, and her struggle to find her identity. Badho is married to Lucky (Prince). Despite opposition, Badho's father-in-law, encourages her to take up wrestling. Badho, currently training for her first official wrestling match, would fight against Babita. Ms Kalwani also added that though it will be tough for Badho to beat Babita, a wrestling champion, but it would be exciting to see how the scene unfolds. Geeta and Babita Phogat's journey and their father Mahavir Singh Phogat's struggle was depicted in Aamir Khan's 2016 blockbuster Dangal. Geeta Phogat's Khatron Ke Khiladi 8 was also a hit on television. The show was hosted by Rohit Shetty and features TV celebs like Hina Khan, Ravi Dubey, Shantanu Maheshwari, Nia Sharma as the contestants.